Norquist declined to get ahead of the White House in addressing the impact of President Trump’s recent directive to all agencies to cut spending next year by 5 percent. But the economic forecasts shared by the 400-member contractor group portray the fiscal 2019 defense budget as “the high-water mark” for defense spending while also warning of rising debt and a coming recession. 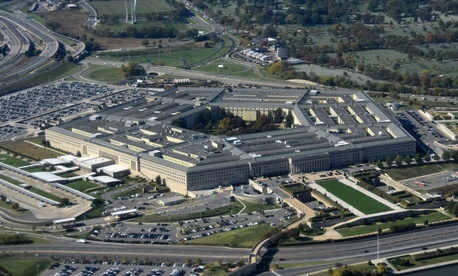 Norquist predicted major shifts in the defense budget’s structure based on the Trump administration’s December 2017 National Security Strategy. Its underlying theme, he said, “is a return of great power competition” with Russia and China, which will require sub-agencies and contractors to better serve the warfighter bound for “high-end fights” in unwelcoming terrain and “unfriendly planes” overhead during the voyage to the battleground. Already, the Pentagon has begun hiring thousands of new Air Force, Navy shipyard and munition production-line workers, while foreign military sales to allied partners have risen from $33 billion to $54 billion, he said. Yes, the defense budget is “large and complex,” he said—displaying a slide showing that if one combined the inventories, employees and assets of WalMart, Apple and the state of California, one would still not match those of the Pentagon. Tactically, the comptroller advised contractors to focus less on their “cool idea” that many agency contract officers can’t connect to their agenda, and to focus instead on an agency with a problem to which they bring a solution that they can directly relate to. Norquist’s colleague, Assistant Defense Secretary for Acquisition Kevin Fahey, updated contractors on the Pentagon’s efforts to decentralize and move functions out of the Office of the Secretary of Defense. “Most of our programs have been delegated from OSD,” he said. Out of 80 programs, only nine remain with Undersecretary of Defense for Acquisition and Sustainment Ellen Lord, among them the F-35, the nuclear triad and the space program, he said. “For a significant amount of people at OSC, all they did was prepare for the milestone program,” Fahey said. The PSC’s market forecaster, consultant Lou Crenshaw, said that “2019 is as good as it gets in terms of real money” for defense. He warned that the national debt as a percentage of GDP is now the highest since World War II and that by 2028, the government’s spending on interest on the debt will be higher than the defense budget. In an evaluation of the Congressional Budget Office’s past performance, Crenshaw said “the good news is that CBO has woefully overestimated interest rates, but when predicting actual deficits, CBO has been 250 percent short” of the eventual numbers.